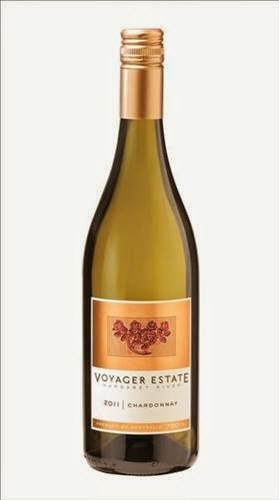 This is bang on target and another excellent Chardy from the folks at Voyager. Plenty of lemons, stone fruit and white flower florals move to the palate with ease. A minerality sticks and looms large on a long finish, ridden hard by lemon pith. Subtle and well balanced oak adds yet another dimension. Bright, lively and fresh would best describe what's in the glass here. Lemons and lemon pith, grapefruit acidity and even a touch of freshly cut pear. This is cleansing without being too heavy. Oak plays its hand nicely balancing out a wine which grows on you. There's depth and personality yet it is precise in delivery. I'd go here again. It's very good and a whisker away from being excellent. A tidy wine which opens with aromas of marigold flower, stone fruit, vanilla and what comes across as margarine. The fruit has depth and drives through. Although there is some mouth warmth, white fleshed peach is king here. Creamy with toasty oak appearing at the death, there's texture courtesy of the wild ferment which follows through to a long and persistent finish. This is a very good wine which held its own when lined up in a tasting with Chardonnays from Margaret River and Great Southern regions. Dried naturally by the sun after the cordon was cut, the fruit was whole bunch pressed and wild yeast fermented. Beautifully balanced, although a sweet wine, it's certainly not too sweet (12.5% alc). I'd point this more towards a cheese platter than a sweet dessert, but regardless, the 375mL disappears in quick time. A touch of marigold flower is followed by candied pears and a drop or two of apricot nectar. Honey like and gently textured on the palate, it's clean and moreish, lingering nicely. I'd go here again for sure. Top stuff. Get it online or at the Cellar Door. It's great to go back and have a look at a Hunter Valley 2011. Being the same year most of the country was smashed by wet weather, the Hunter dodged a bullet and produced some fantastic wines. This is Gartelmann's flagship wine. I popped into the cellar door recently and had a wonderful chat with co-owner Jan Gartelmann. The wines are made by Liz Jackson out of the First Creek facility. Prior to this it was Jim Chatto at the helm back in the mid 2000's. The fruit for this wine comes off 46 year old vines in Pokolbin which is machine harvested. A mix of new and 1-3 year old French oak are used for 12 months. Recently released, what stands out immediately is the fruit sweetness. Rosehip type florals were joined by bucket loads of plum and cherry characters with nicely interwoven clove and cardamon spice. Oak plays a minor role, but from start to finish that plummy fruit sweetness just chips away. A day on and the darker fruit qualities took the reins. 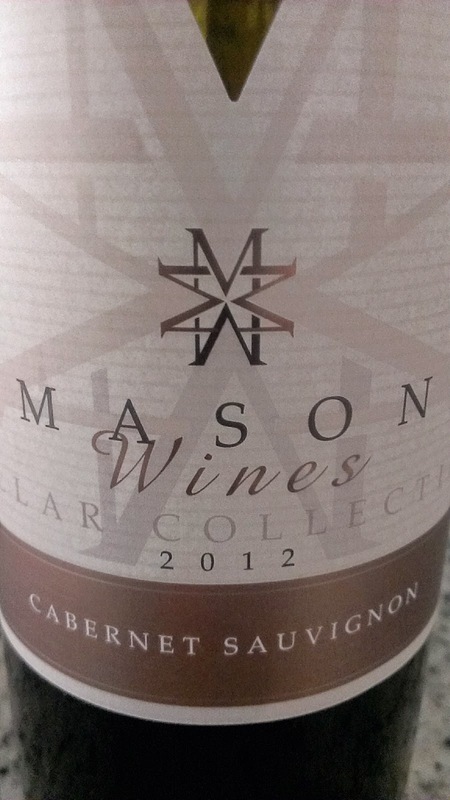 Smooth to finish and very enjoyable, decant and have in the medium term with meat dishes. I call wines like these "pool wine" simply because they are the type you want to hydrate the insides with while your outsides relax in the pool. And sit in the pool I did! A pleasure to drink, it's not complicated and very tasty. Green apples and a dash of lemon and pear highlight this fizz. It's crisp and moreish. Not too dry, it makes a pleasant alternative to Pinot Chard bubbles. Very good and one I purchased more of during the Christmas festive period to share with friends. An enjoyable stand and deliver type of wine. Think a little cherry sweetness, strawberry and mulberry fruit aromas leading to a juicy palate with a scattering of peppery spice. Fine and soft to finish, an easy drinking style which hits the mark. Good stuff. This is Mason's top label. Winemaker Anthony Ramatta has been chipping away for a few years now and has produced some smart wines with the '12's demonstrating his capabilities. I had the pleasure of catching up with him a few months ago and he has some very tidy looking '14's in barrel. Made using French and American oak, cassis, blackcurrant and a touch of blackcurrant jam typically show up. What gets my attention is the mintiness on the front palate which lingers leading to dark chocolate sitting smack bang in the middle. The fruit is generous and just hangs before finishing soft leading to voluptuous tannins. Give it another year or two to show its best but still, a very good drop. Verduzzo is a variety many may not have come across. Hailing from north-eastern Italy, it is not to be confused with Verdelho which originates from Portugal. A small portion of this wine spent time in new French oak to add texture and flavour. Cut green apples, white fleshed peach and some tropical fruit influences highlight the wine. It hits the mid-palate and refuses to budge and that's where the influence of vanilla oak comes to the fore. The fruit, however, seems to evaporate and miss the back completely. Although there is refreshing appeal to the wine and it was good to try, it's not a wine I'd go back to. Some cooler climate deliciousness right here. Aromas of blackberry, dark cherry, cracked white pepper and cured meat. There's almost a little cassis in there too. Some time in the glass and an intriguing fennel or coriander seed thing sneaks out and lingers in the background. Soft, fine, delicate, this is engaging finishing long and screaming out for another sip. Still humming after four days so time in a dark place won't hurt. Yet, she's ready to roll now. Find it around the traps for under $20 which makes it terrific buying. And if the punters at the Cellarbrations store (Valentine, NSW - $20) I popped into recently are anything to go by, it looks like they know what they are after coz there was none left! Very good and one I'd certainly plonk one in my trolley. The name is a mouthful so just go with "fear of an empty glass" for simplicity. A union of unusual bed fellows in the form of Sagrantino 90% and Cinsault 10% which were blended after two years in old French and Amercan oak. Stemmy aromas first up but these settle. A good decant and airing fixes that. Loads of mouth drying and puckering tannins dominate the landscape so food is needed. Hang on, I'll rephrase that... It's bloody tannic! Behind that, and you'll need to dig, sit red berries, dark cherry, wallet leather and purple flowers. It's almost a yin and yang effect with bold structure and tannin but some softer fruit qualities. For all its complexity and the questions tossed up, I keep going back for more. Must be a sign of a decent drop? Although already five years old, a few more years in the cellar won't hurt to see it at its best. A good Vermentino which is clean and crisp. Pear, lime and some green melon type aromas move to lemony and lemon pith flavours. Have on its own or with fresh seafood. Easy drinking, it's not too excitable though. I'd have a glass or two but I think the $25 asking price is a bit rich. What started bright morphed into a wine with a darker side. Dark fruits, baking spices and a ever so slight whiff of compost. There's a bluntness to the fruit which hangs out at the back. Almost too shy to greet the cool kids at the front of the party. Tightish acid finds a big comfy lounge and mellows out. Blackberry fruit hits the dance floor with his charred oak buddy sitting off to the side not wanting to steal the limelight. Oak sweetness tends to lurk on the flanks as well. The more time it sits, the better it gets. A medium term cellaring option. Enjoyable, I'd go here again. Quite a seductive wine which evolves nicely the longer it sits in the glass. The usual fresh stone fruit and citrus characters of a good Chardonnay step out here, but with patience comes a subtle nuttiness and coconut husk. Now we're talkin'! Hand picked, whole bunched pressed and wild yeast fermented, it was matured on lees for ten months in French oak, a quarter of which was new. A bright golden colour and a persistent vanilla creaminess are a result of this. I've been lucky enough to have a look at a few of winemaker Simon Burnell's wines of late, and I must admit I do like what he delivers. There's finesse yet interest along with judicious use of oak. Furthermore, they are priced very well. I'd grab a bottle of this and have it with a roast chook. Here's a weapon to arm yourself with and attack your Sunday barbeque. I've always preferred Grenache as my variety of choice for Rosé, and this from Wirra Wirra didn't disappoint. Juicy and loaded with fruit, think watermelon, cranberry, strawberries and cherries. There's a touch of sweetness which then flushes out to a dry savoury finish highlighted by some spice and a little clove. Really tasty stuff sure to appeal to both males and females. Well priced, I bought this and I'd certainly head back and buy more. A bit of a beast from traditional Shiraz country. The wine spent two years in new French oak (40%) with the remainder in older French. Fruit was sourced from three vineyards, two of which had vines older than 50 years. Usual Cabernet characters come to play including black and blue fruits and a lick of mint. A dash of spice adds to a subtle oak influence which all contribute to a deep and concentrated wine. Earthy aromas emanate throughout and the oak lingers on the finish. Soft in the mouth, it finishes long with fine tannins. It's only a 2013 and still tight. Made for the long haul (it is called the Cellar Dweller!! ), throw it in a dark place for a few years so it can kick back and relax - up to 20 years. Very good now and time will only help it shine. You could pass this off as a savoury Grenache. Damn its tasty. 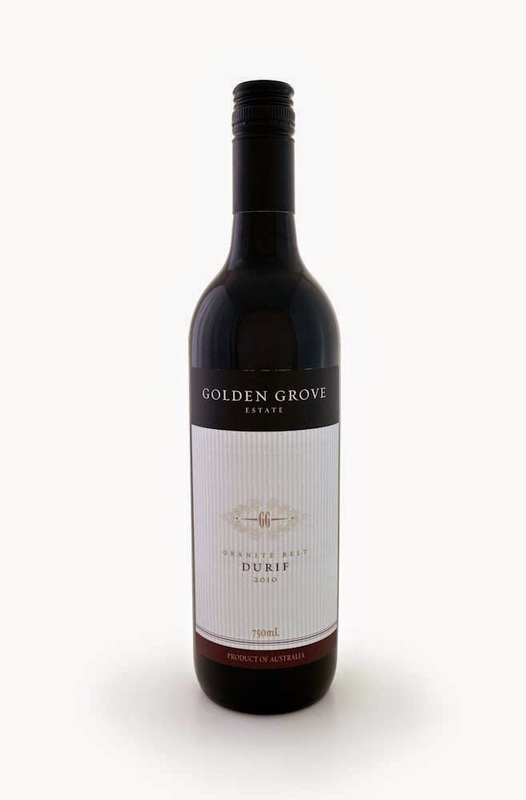 Durif is often seen is a big and gutsy wine, but that's not the case here. Dangerously approachable, it's a far cry from the 15% plus alcohol blockbusters coming from Rutherglen. There's plenty going on. Tar, lead pencil, mulberry and raspberry fruits, black pepper, black garden soil, and dried savoury herbs. A little perky acid rides the fruit to give good balance. A medium term cellaring option but is drinking well now. As per the label: hand picked, whole bunch pressing, natural ferment and nine months in French oak. A blend of Sauvignon Blanc (52%) and Semillon (48%), you got my attention with the French oak bit. For me, Sauv Blanc is best when it's been worked a little. Some creamy and lemon curd type aromas with a touch of grapefruit kick things off. There's a squeeze of gooseberry and asparagus sitting nicely in the background. Quite fresh with plenty of fruit driving the bus. The grapefruit acidity seems a little tight however. The creamy texture enables the length to hang on. Ready to drink it now, it's a good drop but doesn't hit the spot entirely for me to set out and buy it. This is alive and puts a spring in your step. Fresh and clean, there's great fruit yet you aren't bashed over the head with tropical fruit. Best of all, the fruit and soft acid are balanced delicately. Thirty percent barrel fermentation adds textural interest too. Soft touches of grapefruit, grassy characters and some lemon pith deliver a Savvy which is persistent and long. I dig it! I haven't had a Rosé since April, so it's good to get back on the pink train. And I've gotta say, I was a big fan of this juice. A whiff of watermelon, rose petals and red berries set the scene. I detected a fleck of citrus too before winemaker Simon Burnell confirmed there is 12% percent Semillon tossed in. Nice touch and it certainly gives the wine a lift. Dry but juicy, there's some grip on the palate, yet it has plenty of guzzle factor. Chill it down and it wouldn't be out of place partnered with a snag or steak on the barbeque. This is the first fizz made by Clovely Estate. Started by former winemaker and CEO Luke Fitzpatrick and finished by Sarah Boyce, prior to this Clovely bought their fizz from Hardys and stuck their label on the front. After four years on lees in the bottle, this steps out and makes an appearance. It's a bloody good first up effort I must admit, my only question is the price. When you go over the $30 mark you start mixing with the serious players. And whilst this is very tidy, I wouldn't pay the asking price. Stick a glass in my hand though and I wouldn't complain at all mind you. Bready, toasty, and brioche characters are all there. Some lemon and lemon curd add nicely to the profile. The bead is consistent and the colour is on the mark. Good depth and length are certainly engaging which move to a persistent and long finish. A welcome addition to the Clovely portfolio. 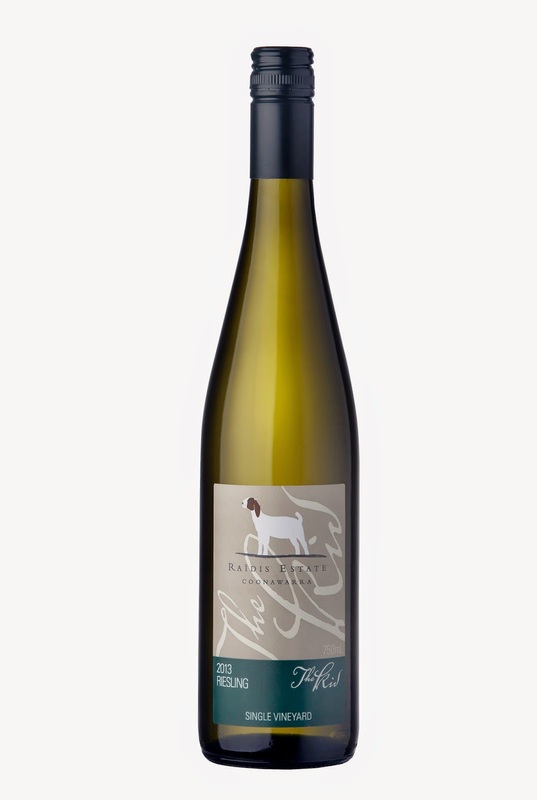 The fruit for this is sourced from the Adelaide Hills to produce a 100% Chardonnay fizz. Loaded with lemons and a splash of apple, there's almost a lemon tea tree like character as well. I found it quite light however, more like a Prosecco in some respects. I can see the aperitif appeal offered, but the depth I was looking for wasn't there. A decent drop but not my style of fizz. A very easy drinking type, it's easy to see how such a wine has appeal to a large chunk of the market. Fresh and lively, there's more lemony citrus action here than the usual grassy, asparagus a green melons you expect with this variety. Crisp acidity makes for a simple drink offering good refreshment. There's a bit of change going on at Clovely Estate. Former winemaker and CEO Luke Fitzpatrick has moved on and taking his place is Sarah Boyce and Stefano Radici. The change doesn't stop there with the label and logo getting a little shake up here, and I like it! A blend of the Mediterranean varieties grown, this is a fruit salad of sorts, but a lot of fun and most importantly, tasty booze. Shiraz (36%), Nebbiolo (34%), Grenache (14%), Barbera (6%), Sangiovese (6%) and Mourverdre (3%) make the starting line up. I'm sure blending this wine would have been an interesting experience. The wine itself is attractive leaving you with much to ponder. Red flowers, earth, lead pencil shavings, strawberries and savoury herbs add to a flavoursome landscape. A fine dusting of black pepper runs through stealthily. It's not a wine that will win a lot of medals, but will surely win a lot of hearts purely because it is so approachable. Pizza and pasta would be perfect partners, although the back label suggests pecorino cheese, charcuterie or osso bucco. Whatever the food choice, you'll be sure to be grinning. A have now type, I'd go back for more of this simply for its approachability. Tick! Two strains of yeast are used to make this wine based on studies conducted by the AWRI, hence, co-inoculated. The aim is to produce intense aromas and flavours. For me there wasn't the intensity I hoped for. There's plenty of pineapple, pawpaw and some honeydew melon aromas, but the usual tropical characters synonymous with the variety stop there. A creamy undertow is prominent in the mouth. It's a bit like rice pudding in some respects. Some texture on the palate takes away the vibrancy of the fruit leaving some mouth warmth. I have generally found Verdelho to offer some refreshment on hot days with the comfort of seafood nearby. On this occasion, not so much. A fair wine but not one I would purchase. This sample came through recently and I was stunned to learn it is Shottesbrooke's first GSM blend. Even winemaker Hamish Maguire says, "Where have you been all my life," after producing a wine which fits nicely into the current range. Strikingly easy drinking, it's juicy as and bursting with red fruits, dark berries, earthiness and some rustic charm. Toss in some savoury herbs and baking spices and it just hums. There's a perfume which can almost be pinned down to violets and purple flowers, yet there's a depth and calmness about the wine. A drop of residual sugar makes it such a smashable drink. I'd certainly go here again. And why not? It's tremendous value for $20! Forget the RRP, this was recently advertised for $16 which makes it a steal. A great little Chardy ticking all the boxes with stone fruit and nougat characters you'd look for in a respectable Chardy. Toss in some cheeky nuttiness which is followed by some well placed oak, and there you go. Great length and drive, all is in balance and well weighted. There is an elegance and grace about it which is just simply hard to beat at this price point. Do your best to track it down at that bargain discounted price. A blend of Grenache (48%), Shiraz (42%) and Mourvedre (10%), it smells of little berries, red currants, with a sprinkle of dried herd, some earthiness and just a smidge of boiled lolly. The fruit coats the mouth nicely with a nice touch of oak. There's a slippery texture and warmth to the fruit. Still tasty stuff and a fair match for a roast or steak. I'd have a glass or two but I'm not so sure about the price point. Here's another textural delight from Ray Costanzo. Small white flowers and citrus aromas spill from the glass. There's a sprinkle of spice with a wash of lemon juice at the death, but that lingering textural thing Ray has perfected with some of his white wines sits pretty well. Many Vermentinos wipe the slate clean at the finish but this just loiters with intent. Partial barrel ferment the key here. Whatever Ray is doing with this variety, I hope he doesn't change it. This is an outstanding wine made from the famed Steven vineyard in the Hunter Valley which was planted in 1968 on red volcanic soil. Picked a little early, the initial plan was to blend this parcel away. But Mike de Iullis was so impressed with how the wine presented he left it as a single vineyard label. The result is a medium bodied (12.5%), pretty and fragrant bottle of juice. The dark cherry fruit is pure, sitting softly and delicately. Red earth characters run underneath the fruit which has great drive yet delicate poise. Soft spice rattles through to a supple and long satisfying finish. This will comfortably cellar for ten years and I'd certainly go here again. 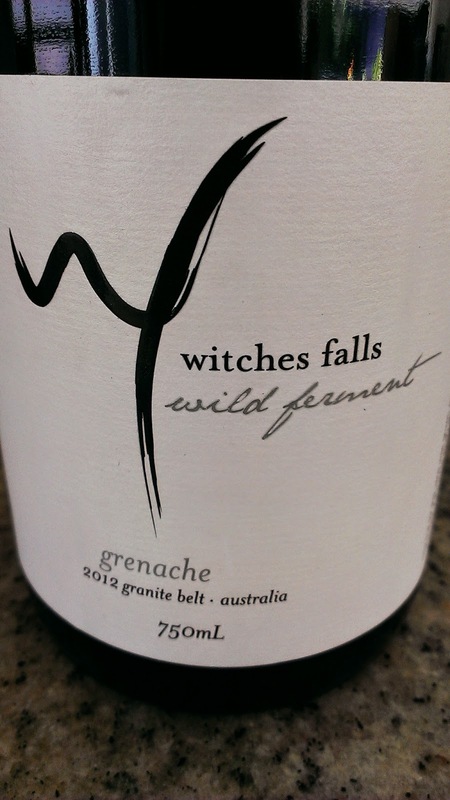 There's not too much Grenache on the Granite Belt with most of it blended away. So it's good to see one from the region standing tall without the need of a wingman or two. Wild fermented, it comes across quite clean and not too funky. This is a respectable drop which is perfectly suited to a barbequed steak. Lots of raspberry and earthy traits plus a lick of granite minerality. It's a lighter style of Grenache as seen by the crimson appearance. Black pepper rides the wave all the way through and the finish is soft and fine. I'd happily have a glass but I don't think it is worth the stated $32. Winery members receive a discount and pay only $25 which I think is more reasonable for what you get. Yarra Valley was the focus of this chat. Also mentioned were some young winemakers doing from very cool things; namely, Dave Mackintosh, Luke Lambert, and Behn Payten & Troy Jones. This is all flowers and citrus, and just like its sibling, it's balanced with poise and precision. I love the juicy lime fruit and then the big "don't argue" palm off as the acid cleanses all before. A touch of lemon juice just hovers delicately on the finish too. Classy. This strolls without the minerality of the Polish Hill, so if you prefer more fruit, head this way. Steely and minerally as always with a delicate and pretty fragrance. Attractive florals but the beautiful balance of fruit and acid here just make it perfect. The fruit drives through with purpose too. I'm mad keen on the cleansing finish, but really, I'm just mad keen on this Riesling. Match with prawns. Please do. You can find it just below $20 around the traps; a bargain! De Bortoli have a knack of producing bargain priced Pinot Noir, and here we go again. There's so much to like about this. It's soft and supple with dark cherries, hints of plum, a sliver of cured meat, and a little dash of spice to top it off. A savoury character lingers nicely on the finish too urging you to go back for more. And it's not hard to I can assure you. One of the descriptors on the label is, "calm". Yep, it is. Very calming indeed. And if you think this is a smart drop, you better check out the Villages Chardonnay. Have a look around as you can often find it below the RRP. Excellent value for money. Very good wine. 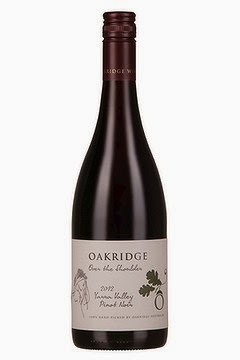 This is Oakridge's entry level range, and it's pretty damn fine particularly as it is hand picked and sourced from five vineyards. A word I'd use to describe this wine is fleshy. The fruit delivered is just that. Dark cherries, some mushroomy composty action, dried herbs and what I can only nail down as stewed rhubarb. There's plenty going on, that's for sure. With some texture in the mix, it's still bright with a soft, fine length. Spot it under $20 and it's a no brainer. The easiest way to look at this wine is a light bodied Shiraz. Whilst the Hunter is now not seen as one of our premium Pinot producers of Pinot Noir, you need to remember the climate here is different to Victoria and Tassie where the Pinot dance floor is pumping and the music is up loud! More red fruits like strawberries and raspberries than cherries. More red earthy like than forest floor and mushrooms. There's a good whiff of oak and a little spice and fair length, but in terms of what you want from a good Pinot, it's probably not here. I lined this up against two $20 Yarra Valley types, and whilst it perhaps wasn't a fair contest, this was beaten hands down. In the words of Cold Chisel, this is standing on the outside looking in, and I don't want to ask for a dance. 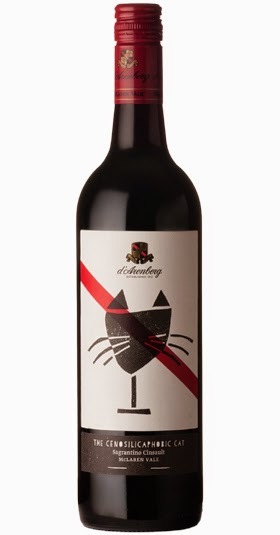 A classic blend of Cabernet (51%), Merlot (43%) and Franc (6%) with some attitude and finesse. The minty character of the Cabernet skips through hot on the tail of juicy blackberry and blackcurrant fruit and smokey oak. Medium bodied, this is soft with depth and a lingering grip. I found the open sample bottle after three days and the contents were still rocking it. Age worthy and slurpable. What's more, I still can't believe the price. A great buy and well worth aging for up to ten years. Steve Raidis could well pose as a superhero under the guise of Bang for Buck Man. He is making some seriously good booze at very reasonable prices. And here is yet another example. There's some slight fresh cut apple aromas but you get swarmed by lovely citrus and florals. Coonawarra is not your "go to" region when it comes to Riesling, but this is a terrific expression of the variety which punches out some tasty fruit. Dry and cleansing, it slides down with ease. Match it with prawns, I did! The vines for this wine were planted in 1972 and what struck me was its balance and silky smooth touch. It just possesses a delicacy which you cannot help but to be charmed by. Despite being a 2012, you can get a good picture of where this wine is heading. Grown on sandy soil, the fruit is rich, long and moreish. It's overflowing with all the quality traits of a great Barossa Shiraz, whilst not being too heavy nor over the top. Certainly not a knife and fork type, just soothing like Rolf's dulcet tones. Delish now, but give it another year or two. I reckon it will see its best days in the next 5-10 years. Owner Ewen Macpherson says this wine has jazz hands. I know what he means. Well, sort of. There's something very special and alluring about it. So much so, it was recently awarded the Best Other Single Varietal Wine at the Royal Melbourne Wine Awards. Although Symphony Hill is a winery part Queensland's Granite Belt region, winemaker Mike Hayes sources the fruit from the New England region just down the road. Pretty and attractive aromas of rose petals and Turkish delight run riot filling the glass. These move seamlessly to delicious fruit highlighted by lychee and some lavender. A gentle flutter of spice lingers brilliantly on a long and soft finish. It's just one of those wines you shake your head at in amazement. I did a bit of head shaking, and some buying. A couple made their way home. This is a label I haven't seen before which naturally brings some excitement. On first look the colour seemed dull and a little lifeless sadly. It appeared advanced if anything. Ignoring that, the wine presented aromas of stewed fruit and plum compote followed by a good core of fruit. There was a smokey character which rolled through but this seemed to remove itself the following day. A day on and not only was the smokey character gone, the fruit seemed to find some more life, almost finding a second wind to be bouncy and lively. Black fruits came to the fore but the finish just flattened out. A wine that needs some time for it to show its best but I'm not convinced time will improve it dramatically. The Granite Belt is not the place you'd expect Semillon and Sauvignon to flourish but this blend (62 & 38% respectively) has summer time flashing in neon lights. Grassy and green melon aromas from the Sauvignon Blanc take charge followed by a rush of citrus via the Semillon. There's a pithy character in there too. Lifted and fresh in the glass, but what wins me over is the textured palate. The small Semillon portion that is wild yeast fermented (15%) in new French oak is responsible for this. Winemaker Ray Costanzo is becoming somewhat of a textural gun with his whites. His take Vermentino exemplifies this. Cleansing acid is balanced with the fruit beautifully. But in the end, it's that textural thing going on which just lingers and hums that has sucked me in. Excellent wine and super value at $18. Available online, at the cellar door or Brisbane's Wine Experience at Rosalie.